I am always amazed to see stories ("Estimating the Number of Homeless in America: Statistics Show that America’s Homeless Problem Is Getting Worse," The DataFace) stating that DC has the worst homelessness problem in the US because I have seen the homeless problem with my own eyes in places like San Diego, Salt Lake City, and San Francisco, and it doesn't seem to compare--it's staggering, with a lot of violence, drugs, etc. are the general discussions about now that the suburbs house a majority of the people in a metropolitan area, they have all the same problems the center cities have/had, including poverty. making the point that "the real problem" is the lack of Single Room Residential housing, subsidized, as a way to accommodate people in otherwise very marginal situations. It turns out there is some, but not very much relative to the demand. For example, in DC there are fewer than 1,000 units of such housing. In Orange County, one of the organizations involved is Illumination Foundation (the director said my piece was one of the best written on the situation there). In January and February, the County removed the homeless encampments along the Santa Ana River, and they are dealing with various federal lawsuits about accommodations. 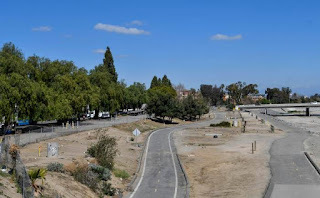 The Orange County Register has a series of before and after photos ("See before-and-after photos of the Santa Ana River Trail with homeless people gone and trash cleaned up") and they are really disturbing, the way that public spaces had been abused. Having to deal with that in a community that is otherwise wealthy--the average housing price in Orange County now is around $1 million--is mind-blowing and people aren't able to shift their paradigms, at least according to the LA Times story, "O.C. pushes homeless off the street but can't find anywhere to shelter them," reporting on over 1,000 people protesting a County Supervisors meeting where the County Council had been planning to approve plans to house people in temporary shelters in Irvine, Laguna Niguel, and Newport Beach. 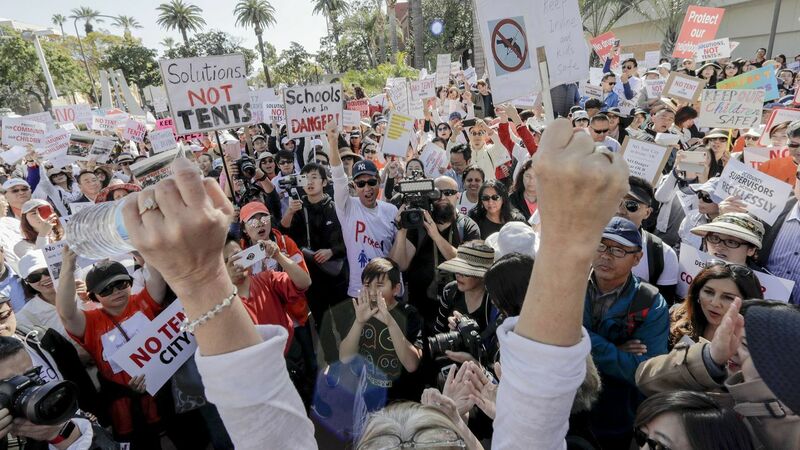 The protest is an interesting contrast compared to last weekend's March for Our Lives events across the country and in DC ("March For Our Lives was a powerful, galvanizing moment: We can't let its momentum slip away," LA Times).. Some protesters at Tuesday's meeting said they shouldn't have to worry about where to put the homeless. "Who cares? This is not our responsibility," said Abby Moore, a retiree from Laguna Niguel. "We are not elected to handle this crisis. I just don't want to be near the homeless." 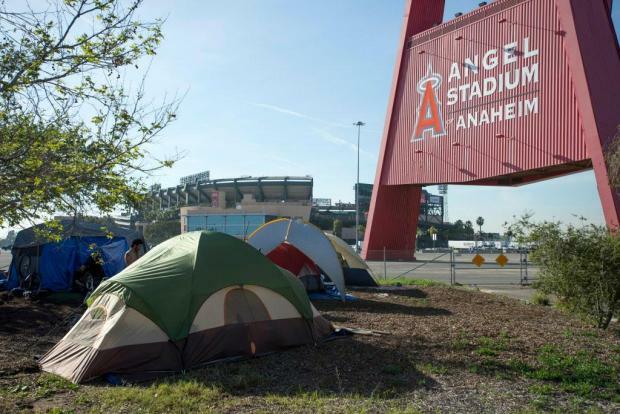 Angela Liu of Irvine said she did not know where the homeless should go. But it should not be in her city, she said. "They need to put them somewhere, maybe somewhere else in California," said Liu, who owns a legal services company. "I really don't know where they can go. But Irvine is beautiful and we don't want it to get destroyed." Others suggested the government should simply do nothing. 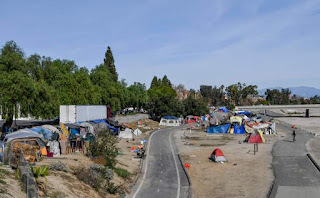 U.S. Rep. Dana Rohrabacher (R-Costa Mesa) criticized "the spectacle of county-financed homeless compounds setting up shop in our local communities." 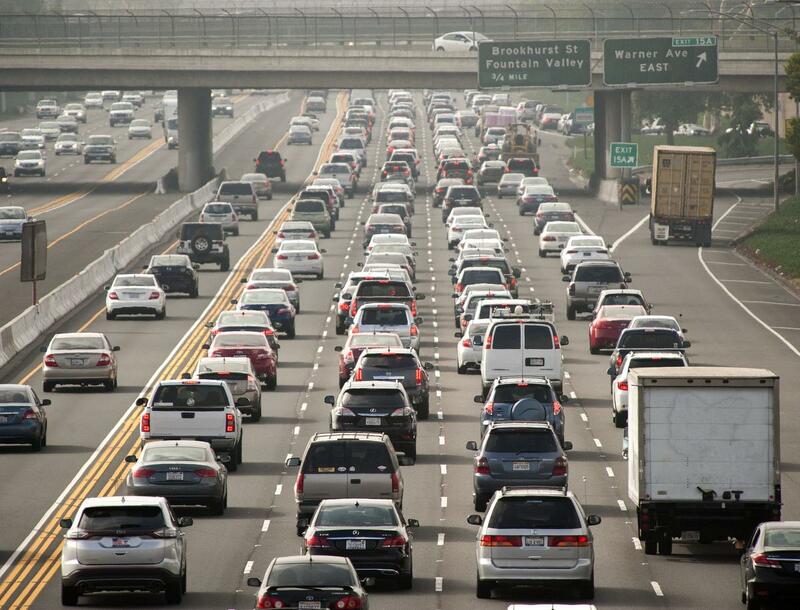 Orange County is the poster child for automobility. At the same time, it has a number of large cities and an "Edge City" in the area of Costa Mesa. These cities/conurbations are significantly more spread out compared to conurbations like Silver Spring and Bethesda in Montgomery County, Maryland, which are more like towns, even though they are unincorporated. Even if Orange County were to build a fair amount of SRO housing--and if DC "needs" at least a few thousand such units, Orange County needs at least 10,000 units--the next problem would be mobility, because transit doesn't work that well there, given the long distances between activity centers. But that's another story for another day. Interesting article from the Toronto Star, "As spring begins, it's time to think about serving Toronto's homeless next winter." And "Seattle Times article on the need for changes to 911 services and emergency response," 2018. The Slate article is good. I hate to admit that until recently I hadn't been familiar with the work about "the precariat." But not just from the Marxian sense, just that with neoliberalism, decline of unions, decline of the role of government, health care, housing, more people are living lives that can become precarious in an instant. Sort of SRO in SLC charges $480/mo. rent for a couple. The building, previously a motel, was bought by the housing authority, and they contract out the management. there is a one year limit on tenancy, and the housing authority plans to build a larger building on the site. The second article says that there is need for 7,500 units to house lower income.